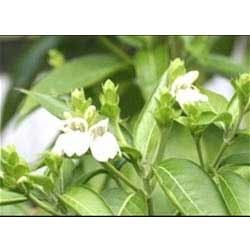 We are leading manufacture and Exporter of Cissus Quadrangularis in South India. We bring forth for our clients Sesamin Seed Extracts, Sesamin Extract 70%, Sesamin powder Extract with 80% Purity, Sesamin white powder, Sesamin Complex Powder and Sesame powder. 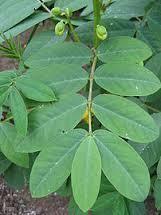 that are highly acknowledged for medicinal properties. The extract is processed in tandem with industry requirements using advanced technology and tools. Star Hi Herbs Pvt Ltd.
Gymnema sylvestrae Drops is manufactured and marketed by Net Origans an ISO 9001:2008 certified company, in partnership with Hawaiian Herbals, Hawaii USA. It is HALAL and Kosher certified product and has been produced under international GMP regulations. It is 100% natural & most concentrated source of Gymnema sylvestrae. Garcinia combogia, Boswellia serata, Gymenema sylvestre, Ashwagandha, Liqorice, Bacopa monnerie, Centella asiatica, Tirbulus terristris, Guggul. Triphala, Green tea, Black Tea.